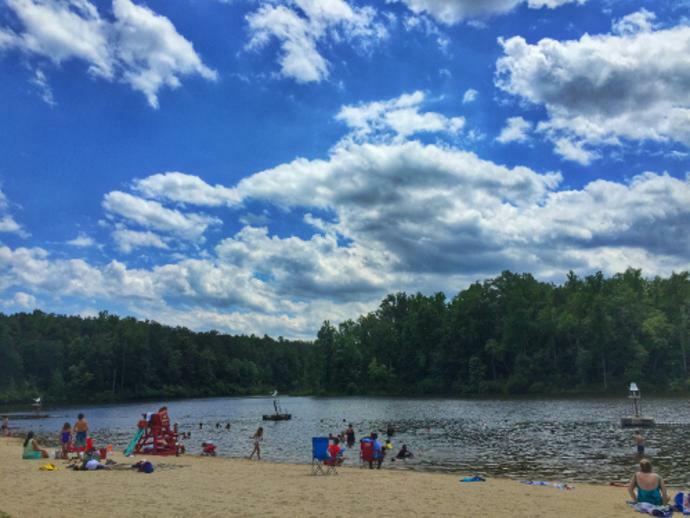 Summer is here and that means lots of fun in the sun in Charlottesville & Albemarle County! From peach picking, to tubing, to hiking in the mountains, the Charlottesville area is the perfect place for an outdoor summer adventure! Read on to find more details about 9 awesome summer adventure ideas! Think farmer’s market and think bigger. You can visit the City Market&apos;s website to plan a route or wander the rows and take it all in. 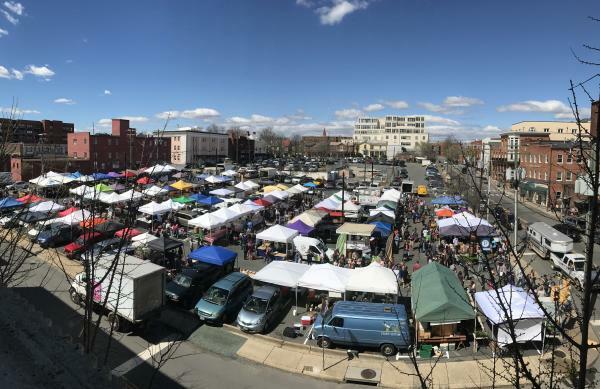 Charlottesville City Market is a producer-only market of farmers, food vendors, and artisans held every Saturday from 7 a.m. until noon in downtown Charlottesville at Water Street and South Street between 1st and 2nd. The vendors are plentiful and there&apos;s a wide selection of produce, meats, and crafts for sale. Pop in early to beat the crowds or show up a little later when the market is bustling—either way, one thing is certain, the Charlottesville City Market is not to be missed! Bring a friend! Bring the family! Bring the neighborhood! 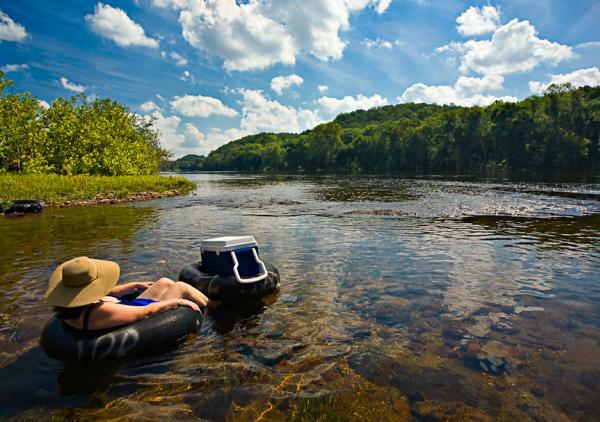 A float down the James River is a great way to relax, work on your lifejacket tan, or simply enjoy some time in nature. Pack the necessities for a picnic or just keep floating. Take a quick drive south of Charlottesville to the charming town of Scottsville where you can tube, canoe, kayak or raft with either the James River Runners or James River Reeling and Rafting. If you’d prefer to stay dry and fish, rent a canoe or cast from the riverside—the river is full of catfish and small mouth bass and the water even at five and six feet is typically clear enough to see the riverbed. Ask anyone in the area and they’ll tell you like it is: the hike to Humpback Rocks is one of the best around. Enjoy a 360° view of the Shenandoah Valley and Shenandoah National Park, best seen at sunrise or sunset. There&apos;s ample space for parking at the base of the mountain, located just off the Blue Ridge Parkway. Though short, the roughly 1 mile hike to the top is 800 feet up (!) so make use of the trailside benches if needed. For those of you that are so inclined, the Appalachian Trail is a hop, skip and a jump away from the intersection with the “Rocks” sign (you’ll know it when you see it). Zip up for the view, then hike as much as you want. 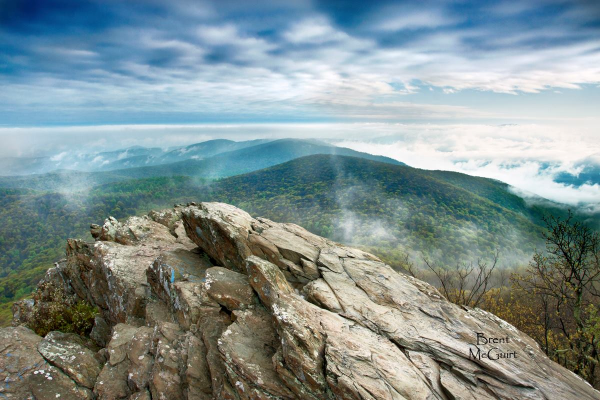 Click here for more about Humpback Rocks! It’s summer and it’s hot. So hike in your swim trunks and give yourself the refreshing break you know you’ll need. Of the four swimming holes we’ve mentioned above, two of them—Snake Hole and Blue Hole—can be found in Sugar Hollow in the western portion of Albemarle County (roughly a 30-40 minute drive from downtown Charlottesville). For Pauls Creek, head on up to Crawford’s Knob (near Wintergreen) and enjoy a swim beneath the falls. (As always, be careful, as the wet rocks can be very slippery!) Riprap Trail is a moderately strenuous hike comprised of a 9.8 mile circuit, which makes the waterfalls along the way feel that much better. Riprap connects to the Appalachian Trail, so for the more adventurous hikers who are looking to go above and beyond in their hiking endeavors, this is definitely the hike for you! If you’d rather get straight to the water and skip the hike, stop by Chris Greene Lake, Mint Springs Valley Park, or Walnut Creek Park. Most boats are welcome (so long as there’s no gas motor). The waters are open to swimmers from 11 a.m. to 7 p.m. in the summer months up until Labor Day. Hikes, beaches, and picnic shelters are available at each location as well, plus you can even get in a game of disc golf at Walnut Creek Park! There’s always something ripe to pick at one of our local orchards (and the view from Carter Mountain never gets old). 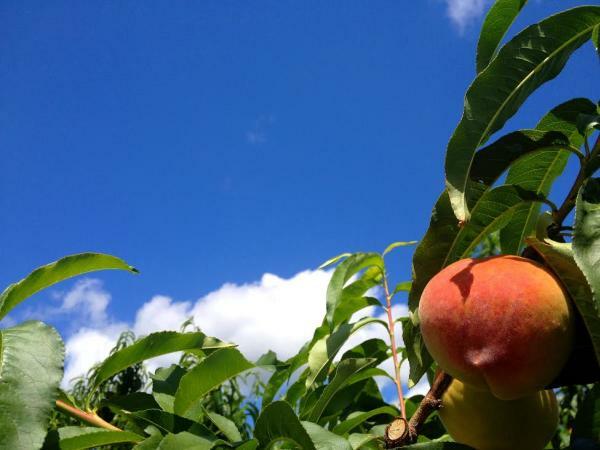 Pick your own peaches or buy them fresh-from-the-tree at either Chiles Peach Orchard or Carter Mountain Orchard. Don’t miss the Thursday Evening Sunset Series at Carter Mountain—the lineup is incredible and yes, the view is even better at sunset. Peak peach season comes in late July and to celebrate, Carter Mountain Orchard throws its annual Ol’ Fashioned Peach Festival, featuring games, contests, hayrides, and more! But have you seen Charlottesville from above? Take in the mountains and the city at sunrise or sunset—throw in a picnic breakfast or a glass of champagne—with Blue Ridge Balloon, Bonaire Charters, or Monticello Country Ballooning. Balloons travel between five and ten miles per flight and no two flights are the same! 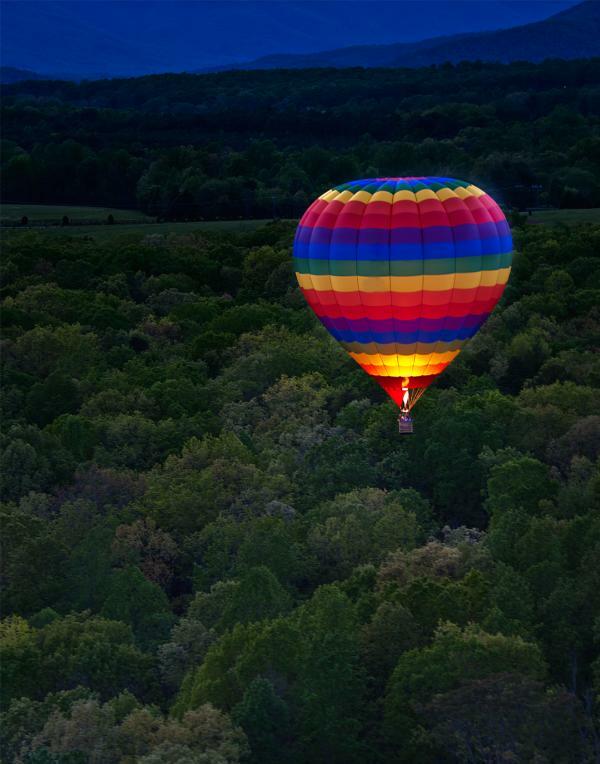 So enjoy the view from up above and experience Charlottesville & Albemarle County in a new and exciting way! If you’re short on cash, a fan of live music, and afraid of heights, water or both, Fridays After Five is for you. 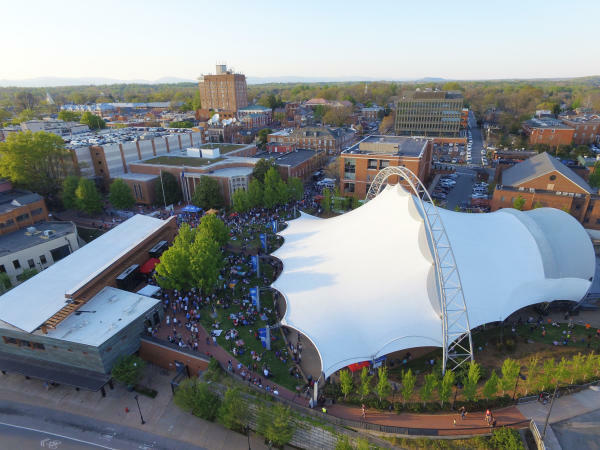 Head downtown to the Sprint Pavilion Fridays from 5:30 p.m. to 8:30 p.m. for free live music performed by local artists and bands. Volunteers work the concessions on behalf of a variety of local non-profits—any money you spend is kicked back to the Charlottesville community. The line-up for 2017 features a wide variety of performers. There’s something for everyone, and this event is definitely family friendly! 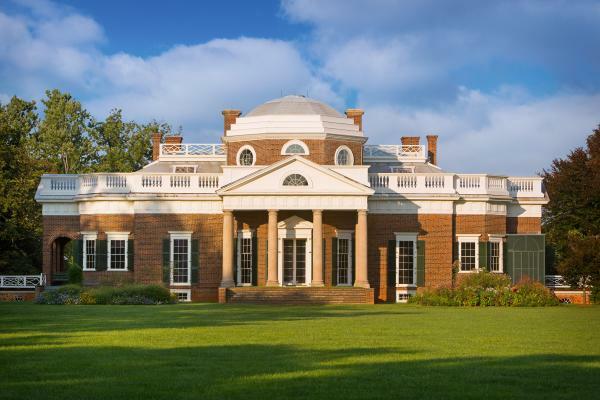 There is no bad time to visit Thomas Jefferson’s Monticello for a tour of the house and gardens or a stroll on the Saunders-Monticello Trail. It’s that much cooler and oh so much prettier on the mountaintop. Monticello is a UNESCO World Heritage Site, as is the Academical Village on UVa’s grounds. Both were designed by Jefferson, both are outside (but yes, there’s AC around), and both offer perspective you’d be hard-pressed to appreciate online. Make a day of it, or take the weekend and tack on a visit to James Madison’s Montpelier and James Monroe’s Highland, which are just down the road! Keep in mind that these suggestions are by no means a cumulative list and only scratch the surface of all that the Charlottesville area has to offer during the summer months! We encourage you to visit our website for a broader and more comprehensive selection of attractions and activities. If you arrive with questions, feel free to drop by one of our visitor centers. There’s one on the Downtown Mall and another in the historic train depot in Crozet. We look forward to seeing you in the Charlottesville area this summer! Now it&apos;s time to get out there and enjoy some fun in the sun!